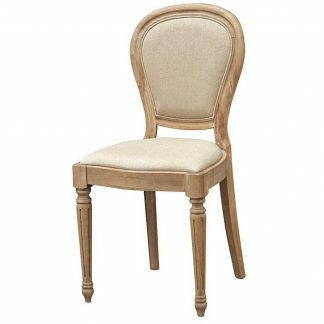 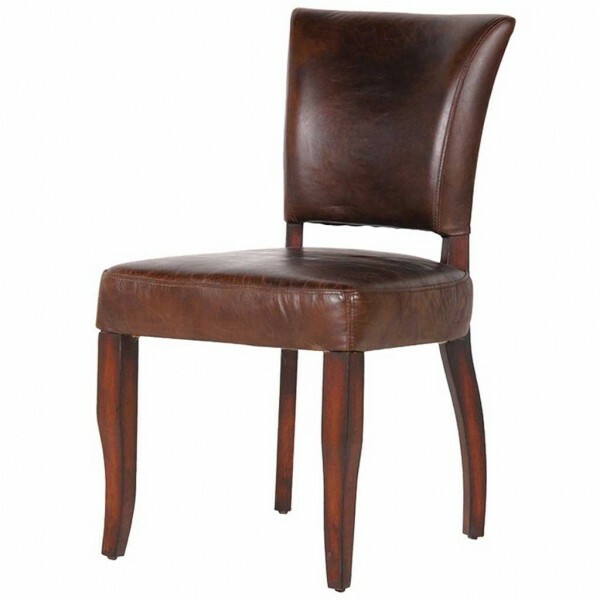 Add a touch of designer style to your dining room with theses stylish brown distressed leather dining chairs. 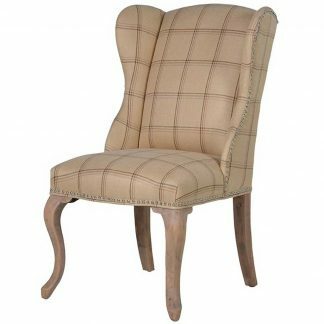 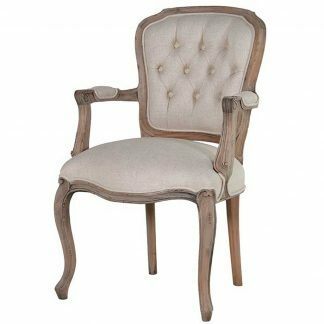 Upholstered in quality distressed leather with dark stained legs and cream linen back with stud detail. 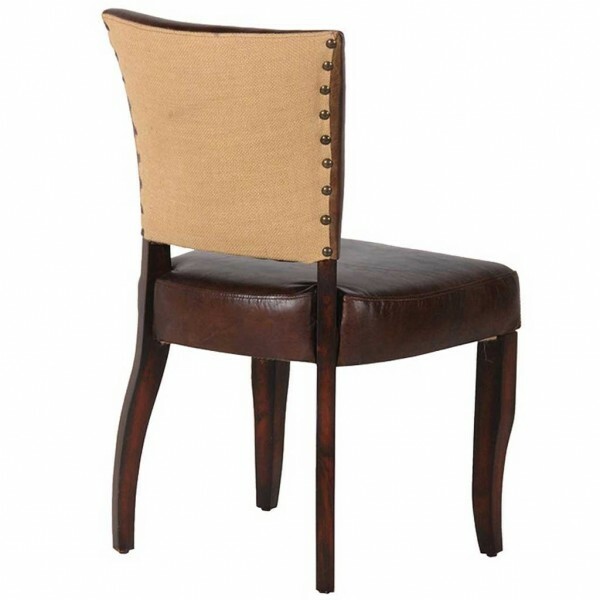 Perfect for any traditional or modern setting.